A proposed wind farm off the south coast of England has been refused consent by the government. 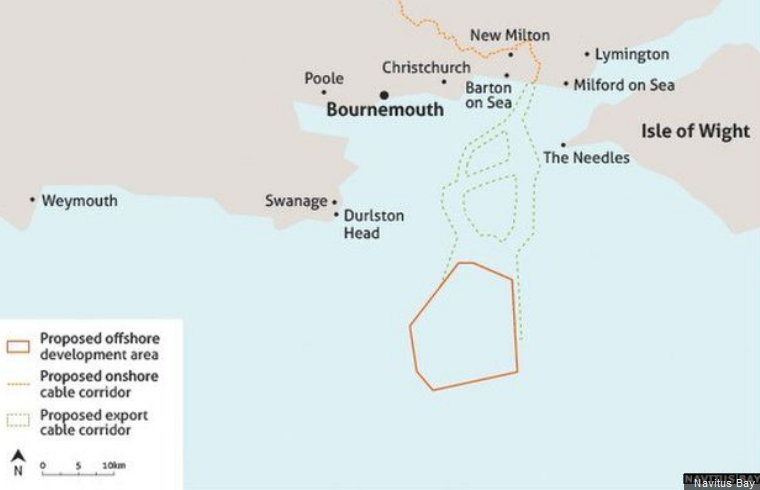 Developers behind the Navitus Bay project – for up to 121 turbines off Dorset, Hampshire and the Isle of Wight – say it would have provided electricity for up to 700,000 homes. Opponents said it would damage tourism and was too close to protected coasts. It is only the second time the Department of Energy and Climate Change has rejected an offshore project. The £3.5bn Navitus Bay plan, developed jointly by Dutch firm Eneco and French giant EDF Energy A, would have seen up to 121 8MW turbines at 200m (656ft) high constructed. The Planning Inspectorate spent six months studying the plans, which developers said would contribute £1.6bn to the UK’s economy over 25 years. ← Europeans Regret….Wind Energy is a Bad Deal, No Matter Where You Go!